The Forum was established by the Third Summit of Heads of State and Government of the Council of Europe (Warsaw, May 2005), to strengthen democracy, political freedoms and citizens' participation. Interdependence of democracy and social cohesion. "Radical measures taken in many countries to try to balance public budgets are both necessary and understandableâ€� but â€œCountries are running a high risk of seriously undermining the European model of social cohesion.â€� declared Council of Europe Secretary General Thorbjorn Jagland while opening the Cyprus Forum. ''The Council of Europe has a unique strategic role to play in strengthening good democratic governance at all levels in the European space''. Democracy, or rather good democratic governance, is now not only intrinsically linked to the respect of human rights but is also recognised as the most effective form of governance to ensure stability, sustainability and well-being. 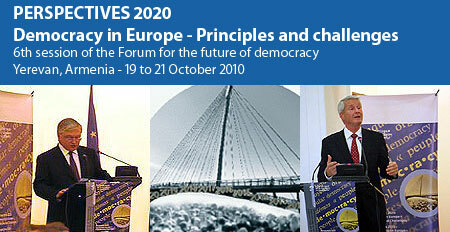 That was the main message of the 2010 Forum. "In a genuine democracy, the citizen is sovereign and the voter decides" - that was the main message of the 2009 Forum, which highlighted the need for greater public involvement, with a view to increasing voter turnout and ensuring that all stages of public life are democratic.. The discussions addressed the impact of information and communication technologies (ICTs) on democracy. "Power and empowerment - The interdependence of democracy and human rights"
This event addressed issues such as the role and responsibilities of the opposition, representative democracy at the local and regional level, empowerment of the individual and non-discrimination, respect for freedom of expression and association for civil society, and fostering democracy, human rights and social networks. "The role of political parties in the building of democracy"
The Forum reflected on the role and responsibilities of political parties in finding democratic solutions to contemporary challenges, the interaction between political parties and with other actors in the democratic process, and the building and strengthening of democratic institutions. 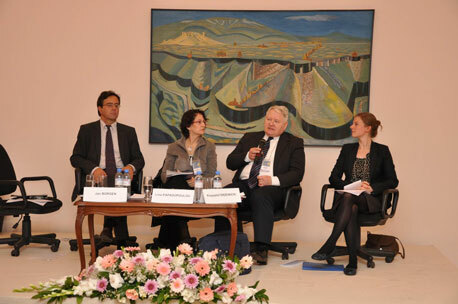 The discussions addressed the state of contemporary democracy in Europe. The Yerevan Forum addressed the principles of democratic governance by analysing their application to, and their repercussions on, contemporary political and societal changes in Council of Europe member states. 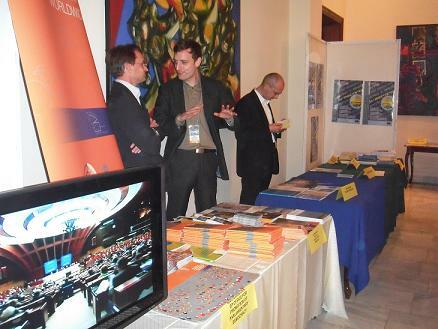 A Democracy Fair was organised as a complement to the plenary and working sessions of the Forum. It was visited by up to 400 participants from the 47 Council of Europe member States and its observer States, as well as representatives of civil society and academia. "Too often, governments have operated in a vacuum, believing they could come up with some magic formula to which they have an elusive patent. In a democracy, government isn't something that a small group of people do to everybody else, it's not even something they do for everybody else, it should be something they do with everybody else." (Kim Campbell, Former Prime Minister of Canada). "The presence of good governance principles help to sustain democracy and underpin democratic principles and determine their successful implementation." (Peter Ashman, Human Rights and democracy Advisor, United Kingdom). What did you want to see on this page but didn't ? Tell us ! The Conclusions will contribute to the Council of Europe’s agenda-setting for future work in the field of democracy. "Democracy is the government of the people by the people. Its basic principles are the rule of law and the separation of powers. Under a democratic system, the rule of law governs the functioning of the government and administration, and confers on judges the power to verify whether the administration has complied with that rule." Council of Europe Parliamentary Assembly - Resolution 800 (1983) on the principles of democracy. "Strengthening local and regional democracy and securing respect for human rights are among the Council of Europe's main aims because a properly functioning democracy provides one of the foundations for peace and stability in Europe." Council of Europe Conference of Ministers responsible for Local and Regional Government - "Good local and regional governance in turbulent times: the challenge of change" (16th session, Utrecht, 16-17 November 2009). "(..) It is essential that young people learn about participation and democracy while in school and that courses on democracy, participation and citizenship are available and properly resourced. However school must also be a place where young people experience democracy in action and where their participation in decision-making is supported, promoted and is seen as effective." (..)The active participation of young people in decisions and actions at local and regional level is essential if we are to build more democratic, inclusive and prosperous societies. Participation in the democratic life of any community is about more than voting or standing for election, although these are important elements. 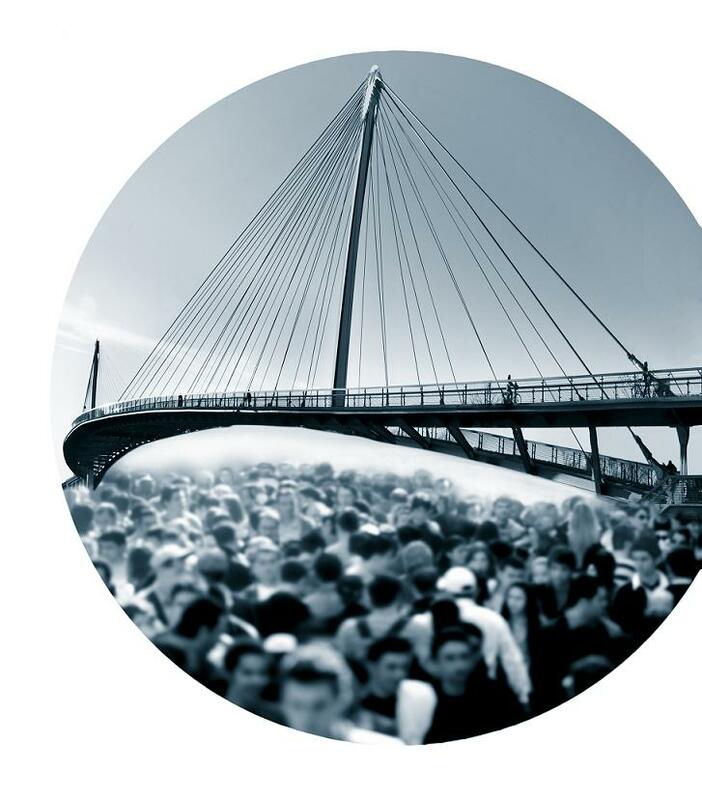 Participation and active citizenship is about having the right, the means, the space and the opportunity and where necessary the support to participate in and influence decisions and engage in actions and activities so as to contribute to building a better society. Committee of Ministers Recommendation Rec(2004)13 to member states on the participation of young people in local and regional life (adopted by the committee of Ministers on 17 November 2004, at the 904th meeting of the Ministers' Deputies). "(..) The Assembly notes that [the recent financial crises] have hit countries where democracy is weak, incomplete or even absent, while the more fully developed democracies have on the whole withstood their international impact. This points to the importance of democracy for lasting economic development, including respect for human rights, the rule of law, social justice and solidarity, transparency and accountability in public affairs, and independent judiciary, a free press and a firm stance against "cronyism", corruption and economic crime. Similarly, economic development can lead a country to a stage where more democracy will not only be possible but even necessary for economic development to go further. (..) Member states of the Council of Europe - an organisation founded on these very values - must work actively with other like-minded countries and international institutions to draw attention to the importance of democracy for economic and social development and the stability of the international economic system. They must also do their utmost, individually and jointly, to improve further the functioning of their own democracies in all the above respects.